Staircrafters – Staircrafters approaches your home with a commitment to quality and long-lasting value. We support this commitment by offering a two-year written warranty covering all workmanship done by Staircrafters. Staircrafters approaches your home with a commitment to quality and long-lasting value. We support this commitment by offering a two-year written warranty covering all workmanship done by Staircrafters. 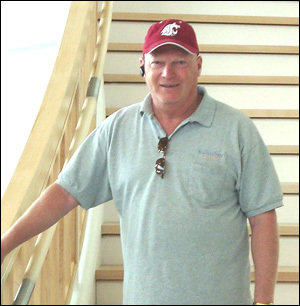 Since 1991, attention to design and detail has been a Staircrafters hallmark in the Pacific NW. We offer stair parts, treads, risers, wainscoting, mill work, crown moldings, columns and mantels in all types of woods. Staircrafters has you covered! Anyone can say they’ll build you the staircase of your dreams, Staircrafters actually will! The best decision we made in renovating our house has been to have Ron and Larry rebuild our stairs. The stairs are absolutely beautiful! I couldn’t be happier. I highly recommend them.